The journey leads you into the depths of a mysterious forest! 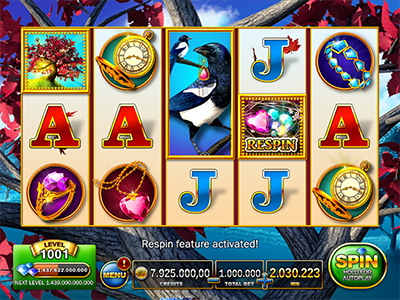 Find the Magic Nest and trigger the powerful Respin feature to win big! 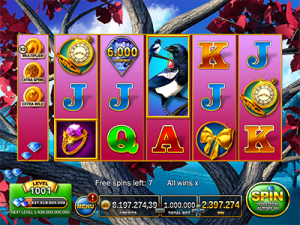 Play on 25 win lines! 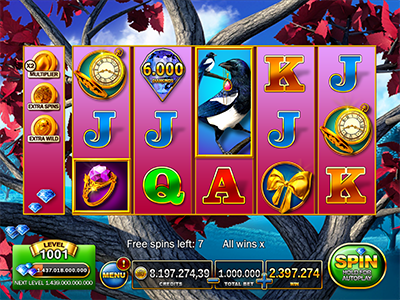 3, 4 or 5 “Lucky Tree” Symbols trigger 7 Free Spins on special reels. 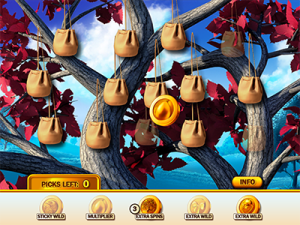 Based on the number of “Lucky Tree” Symbols, open 3, 4 or 5 bags to win amazing boosters for your Free Spins!